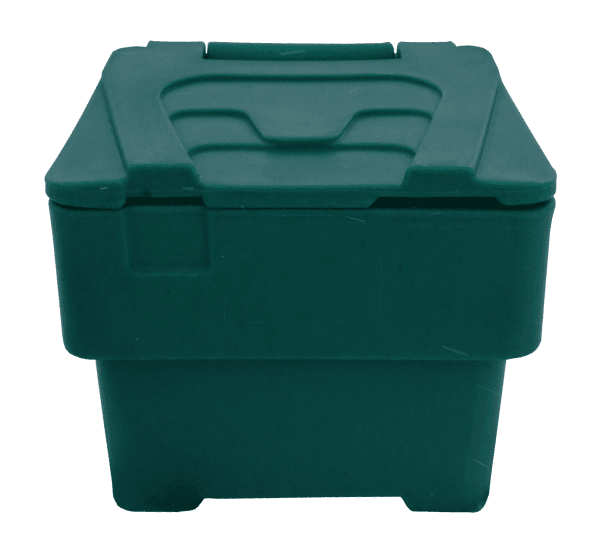 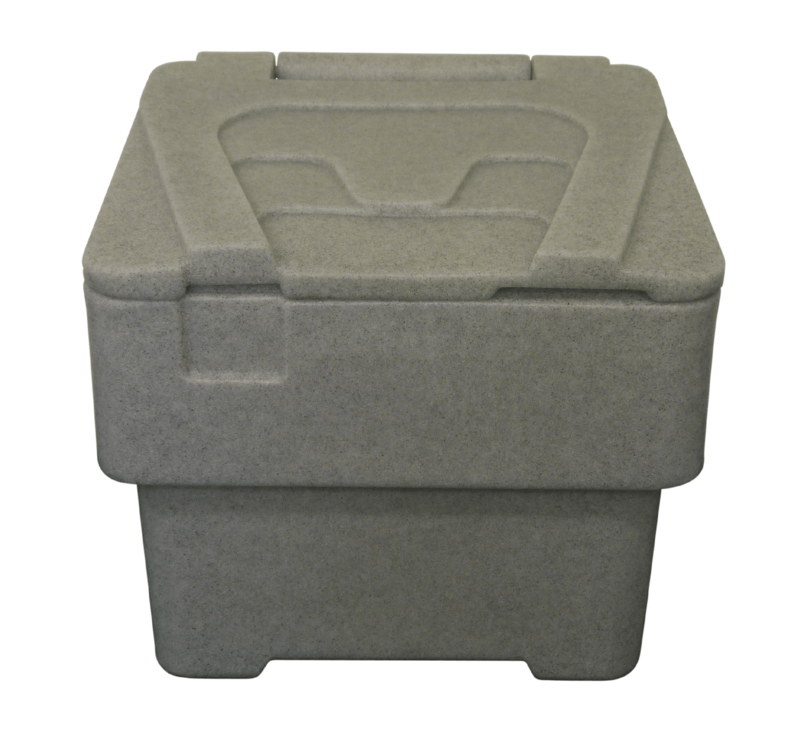 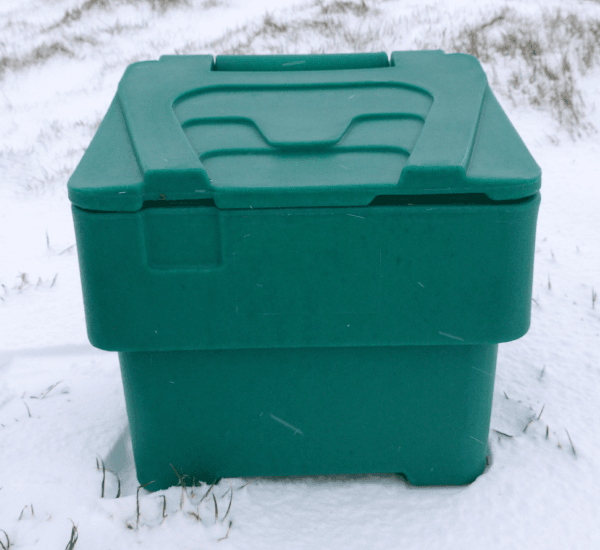 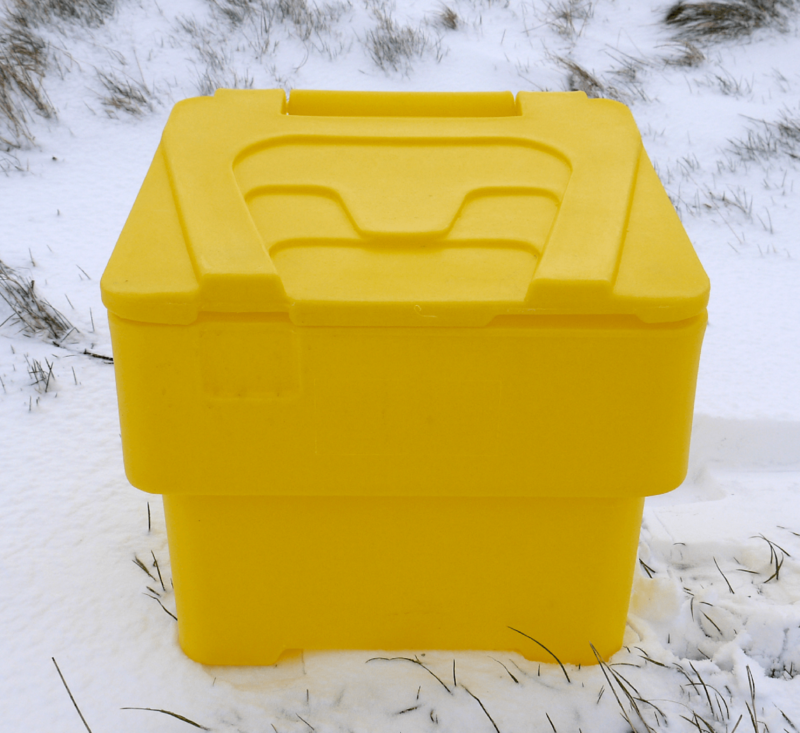 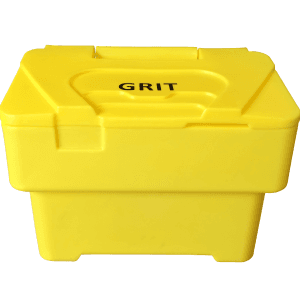 Designed for use at home or at a small office, these bins are perfect for gritting your driveway, path, patio or car park. Available in more subtle colours such as green and mottled grey, these bins blend into their surroundings perfectly. 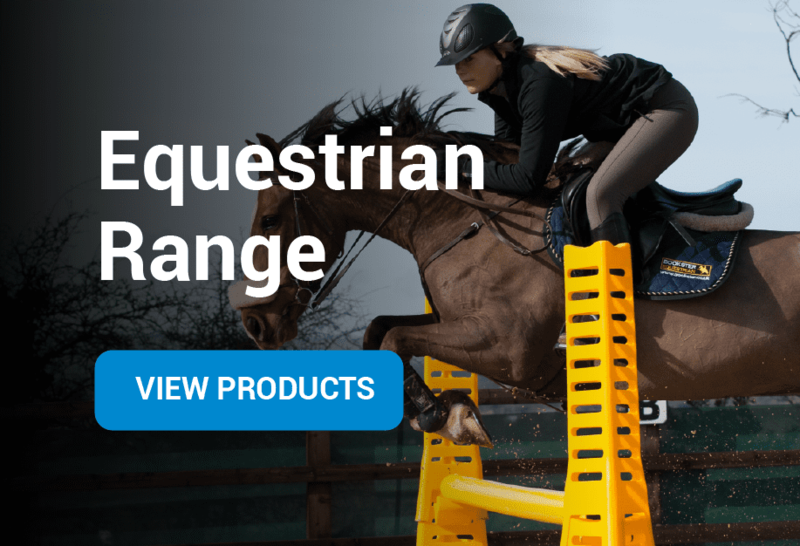 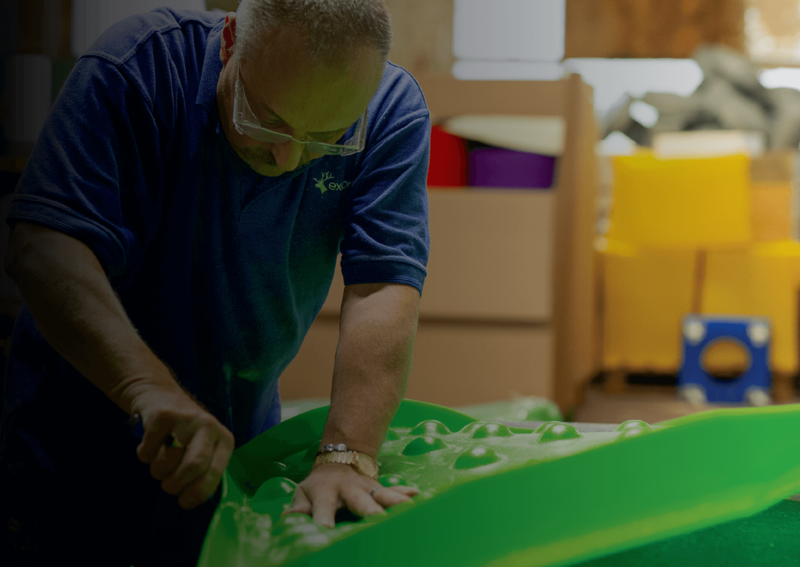 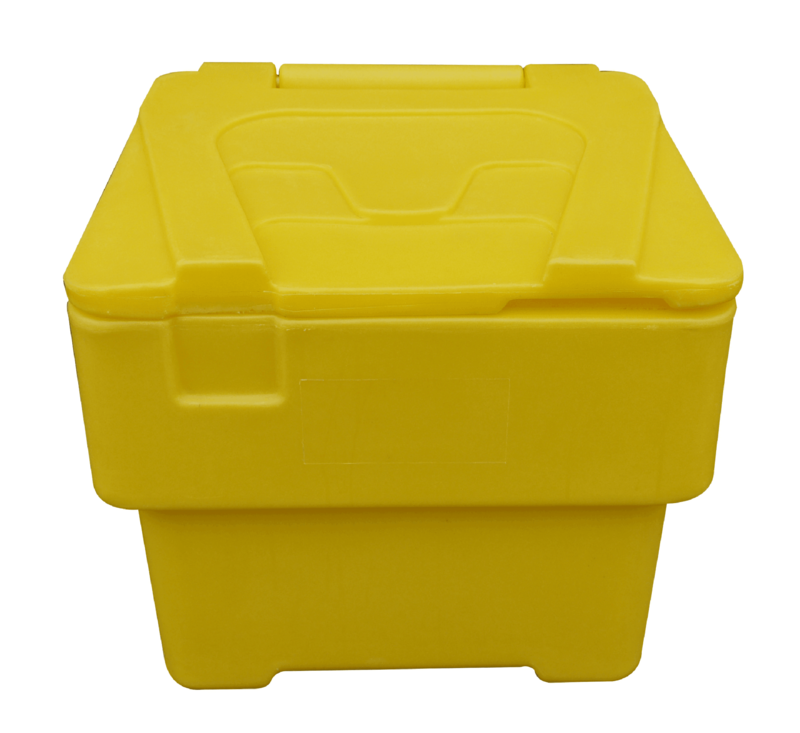 Very durable – can be left out all year with no fear of cracking or discolouration. 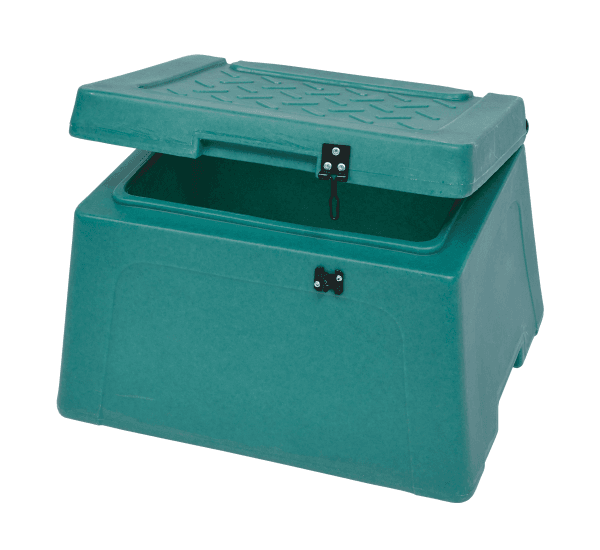 Two bins in the range with capacities of 30 litre and 60 litre. 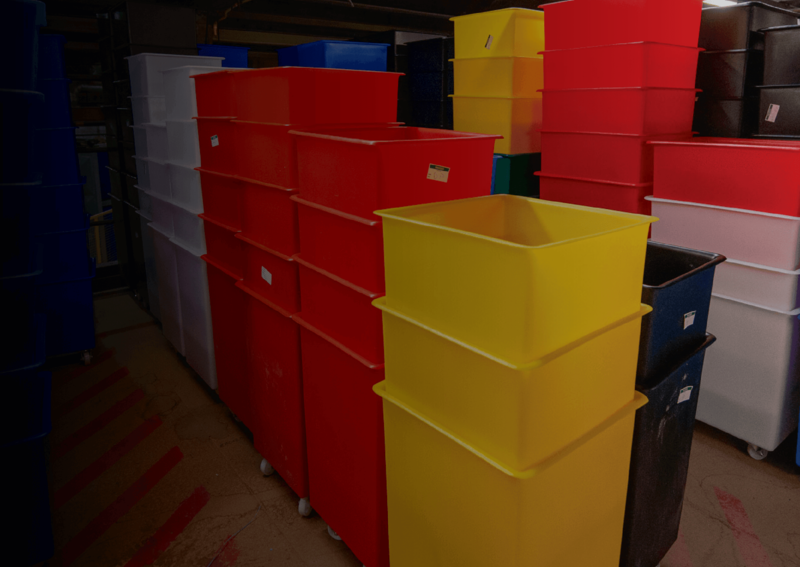 Lightweight bins are easy to move and put away during summer months. 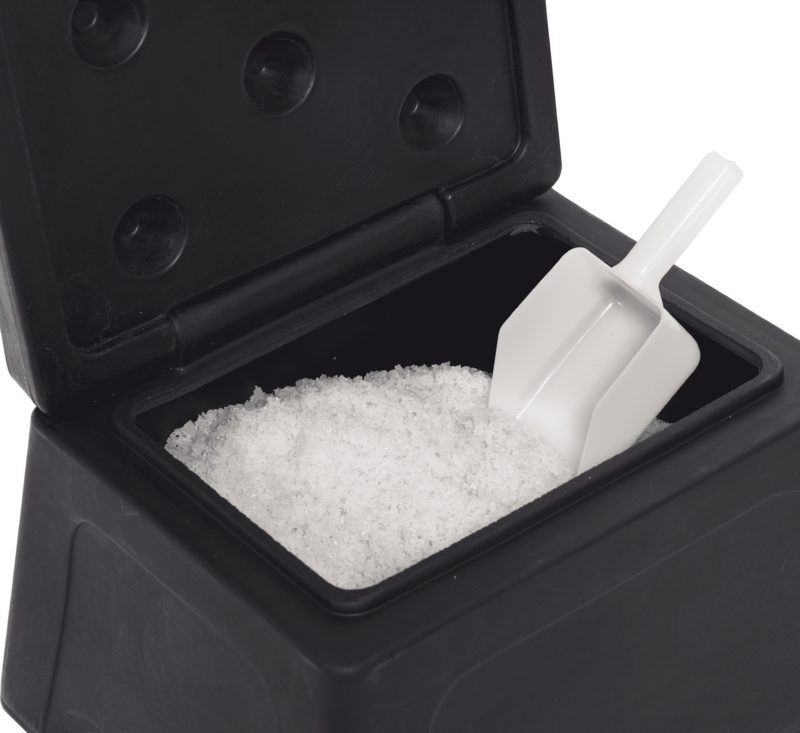 RW0007 supplied with 10kg of white salt, a small scoop and a hasp and staple lock. 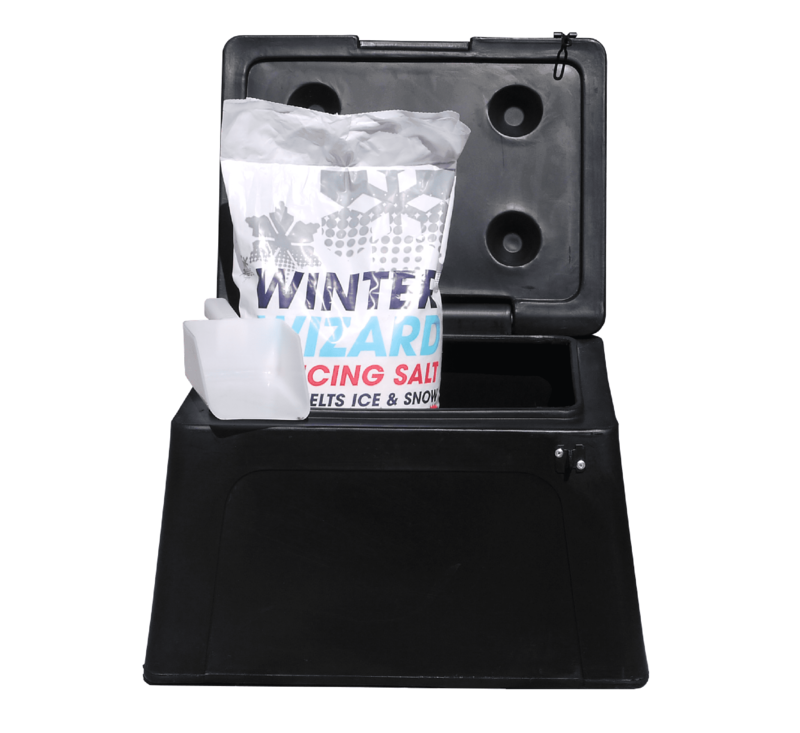 RW0007 manufactured from Black recycled material making it an eco-friendly option. RW0020 available from stock in Yellow, Forest Green and Light Mottled Grey. 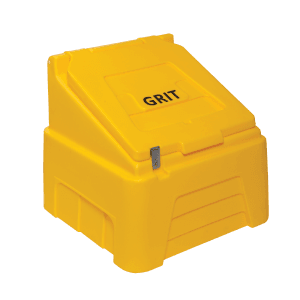 RW0020 can be embossed with GRIT Graphic if required and a hasp and staple lock can be fitted upon request.